Anyway, let's just get right into it! First, let's go to Nature Republic! 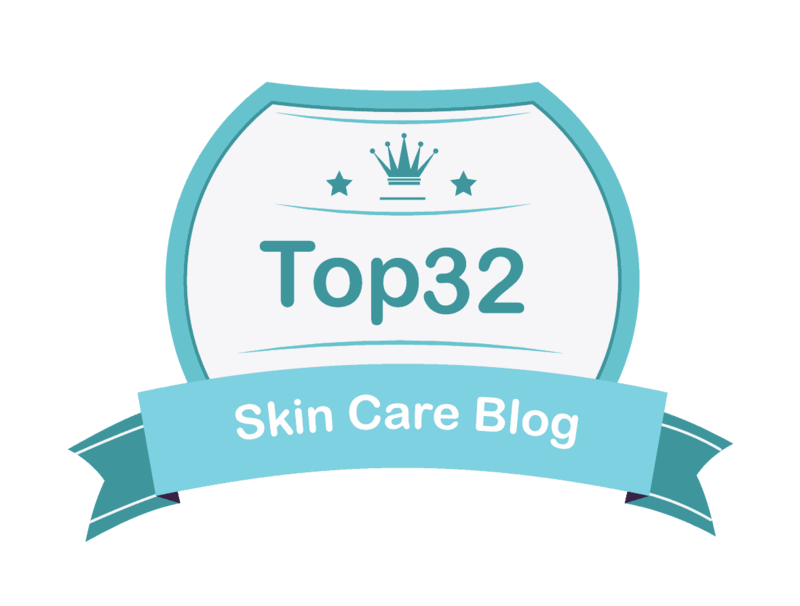 As last month's haul was focusing on skincare items, this month's haul is more on the cleansing products and wash-off masks. 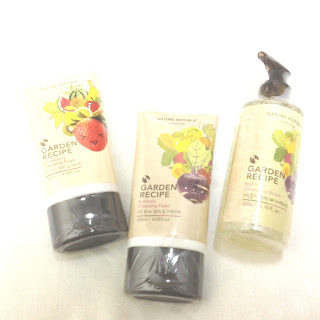 I decided to get these two Garden Recipe Strawberry Cleansing Foam for brightening, Garden Recipe Kohlrabi Cleansing Foam and Garden Recipe Kohlrabi Cleansing Water for deep cleansing purposes. 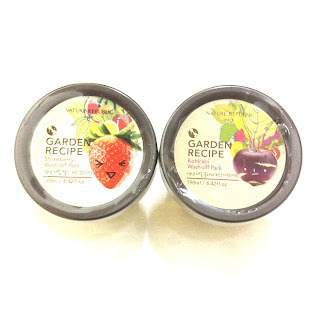 To go with the cleansing products, I also grabbed Garden Recipe Strawberry Wash-Off Pack and Garden Recipe Kohlrabi Wash-Off Pack. 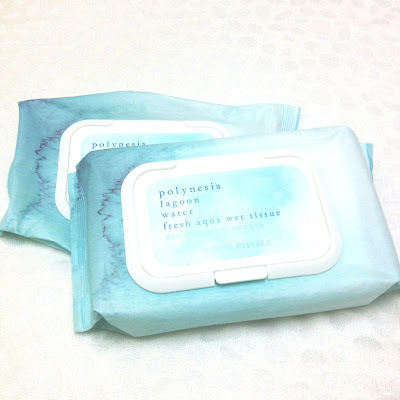 As these two were at marked down prices, I grabbed these Polynesia Lagoon Water Fresh Aqua Wet Tissues. It's always great to have this in hand especially while travelling or literally 5 seconds before passing out on my bed after a long day at the studio. Next, let's go to Etude House! I bought these Every Month Cleansing Foam in February (Pomegranate & Berry) for Firming, June (Tea Tree) for Trouble Care, and August (Blueberry) for Revitalizing. 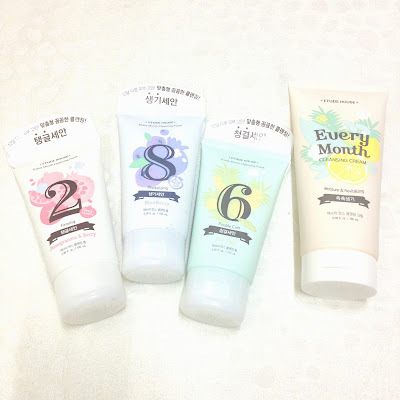 I also grabbed the Every Month Cleansing Cream for Revitalizing. 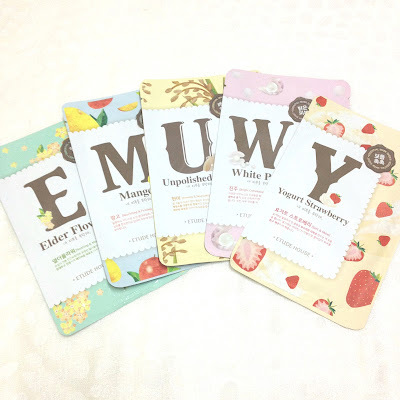 It's been about half a year since these sheet masks were launched and only now I decided to try them as I still have so many sheet masks in my stash. Looking forward to try these I Need You, Mask Sheet! in Elder Flower, Mango, Unpolished Rice, White Pearl and Yoghurt Strawberry very soon. Last but not least, let's go to Skinfood! 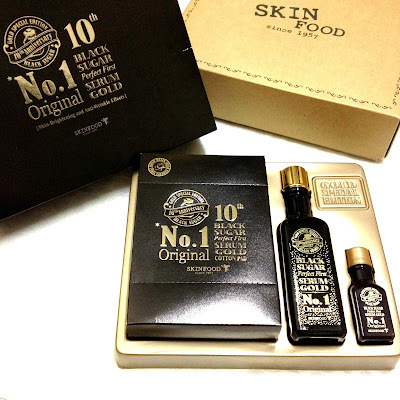 As you guys may already know, this Black Sugar Perfect First Serum Gold Edition has arrived in Malaysia but this set were actually sent to me by my cousin who're in Seoul right now. 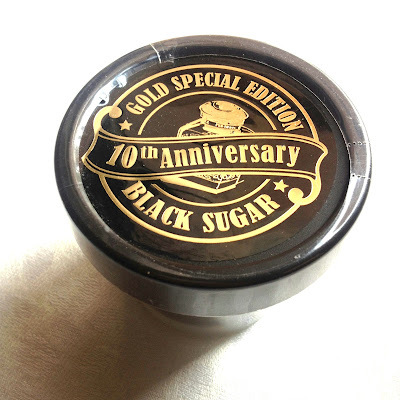 She also sent me this Black Sugar 10th Anniversary Gold Special Edition Wash-off Mask. It's actually the same as the regular ones but with golden specks in it. So that's it for this month's haul! As I'm going to finish my current cleansers soon, I think I can start using these probably within 2 weeks. Yay! Let me know your thoughts by leaving comments down below.